Making a dorm room your “second home” for a school year can be a daunting task. Given that you have limited dorm space, it is vital to organize your room to utilize as much space as possible. By following this guide, you will be able to bring more of your personal items from home because you will have more space available. Here are some tips that have helped me turn my modest dorm room into a spacious home! Lofting your bed can give you additional space, below your bed, that can be used for clothes, food, or a desk. Personally, lofting my bed gave me space for a couch in my dorm that I would of otherwise not had room for! After lofting my bed, I saw my storage space nearly double which makes this tip a must! Room clutter always seems to find a way to rear its ugly head when living somewhere. However, this problem can be limited by having different tools to ensure your room is organized. For example, a hamper for dirty clothes can serve as a way to ensure clothes do not begin to find homes on your floor. Additionally, a shoe rack that can hang from a closet door not only organizes your shoes, but also uses door-space that would of otherwise went unused! Having a piece of furniture that has a double function can help eliminate the need to bring numerous furniture pieces. Why bring a shelf, and a chair, when you can find a piece that does both? For example, the Domus Chair is a chair that also provides storage space in an aesthetically pleasing manner. Multi-functional furniture is an excellent way to get the most storage space out of your dorm room! Utilizing the walls of your dorm room can make the room feel more spacious, and add a personalized aesthetic. For example, hanging decorative lights across the room uses upper wall space that would of been barren and makes the room more inviting. Posters, tapestries, and personal photos also make for great additions to dorm walls to make your new room feel like a home! Certain items, such as desks, shelves, and other furniture can be reorganized in order to create more space for your room. For example, my roommate and I put our two desks side-by-side in order to free up more space throughout the dorm. By communicating with your roommate, you can work personalize your room in order to create a layout that works for you both! An excellent resource that UNC provides is 360 degree interior shots of the residence hall rooms found on campus. This can help you gauge the size of your room, and give you ideas on what you could fill your dorm with! Below is an example of a 360 degree interior shot for the Hinton James Residence Hall. You can find this resource by going to maps.unc.edu , under the Buildings > Housing section. For a college student, their dorm room is one of the most important aspects of their college experience. It’s where they sleep, study, and spend the majority of their time. For this reason, following these tips, and making the most of your dorm room space is essential! White residence hall walls are one of the biggest problems experienced by first-time dorm decorators. Beat the blah on a budget by making lightweight decorations that can be held up with damage-free hanging strips. Like this cute, Pinterest-inspired sunburst mirror, for example! As I answer questions for parents and incoming students at First-Year Orientation, I tend to see a lot of trends in what people are curious about. One thing that everyone wants to know is if and how the beds can be lofted. At Carolina we keep things simple: all beds in on-campus residence halls* can be lofted anytime throughout the year, you can do it yourself and you don’t need any tools! Here’s how it works. *Beds in Granville Towers cannot be lofted. I am a lover of DIY dorm projects. They’re the perfect hobby when you’re a broke college student, yet still want your room to exude a cozy vibe. That being said, there’s one easy peasy project I’ve been seeing all over the internet lately, so I decided to try it out: potted succulents. You might think, so potted plants, right? 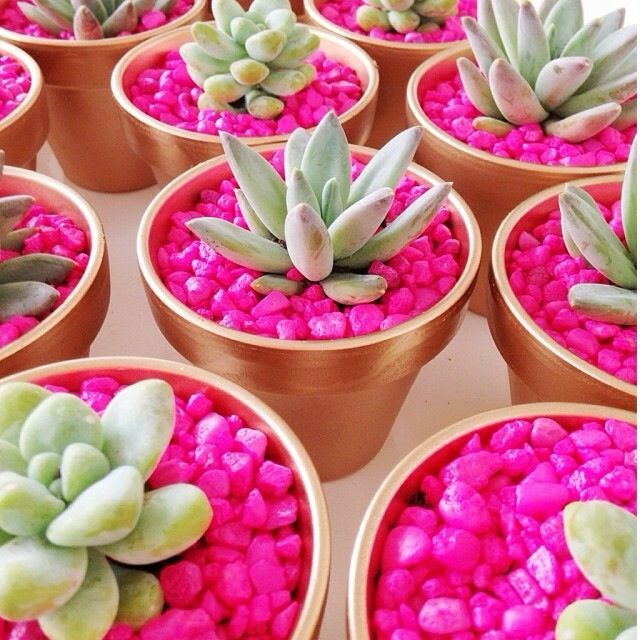 Why succulents? Succulent plants require barely any attention or gardening know-how. Put them in that sunny corner of your room and water them every week or two, and they’ll do fantastically; they live in deserts, after all. Even terra cotta pots are cheap! This is the perfect project for a college student looking to bring a little nature inside. Prize #3 contains an insulated tumbler, padded laptop pouch, a teal bathrobe and a set of pink towels. One pinner will be randomly chosen to win the prize pack shown at right! Be sure to pin by July 15 at noon to enter. –Pinners will each be entered once. –The winner will be selected randomly. –Pinning more does not increase your odds of winning. –We will also announce the winner’s first name and last initial on Facebook and Twitter. Bringing your favorite hobbies to school is a great way to de-stress. Remember your first day of class at Carolina? I do. I barely found my way from Hinton James to Greenlaw. Dozens of student groups accosted me as I hurried through the Pit. The line for the top of Lenoir stretched for miles. And I was blissfully happy. To my eager first-year eyes, the bustle and chaos seemed exhilarating. I couldn’t wait to make great friends, earn high grades and sign up for every group I could. Carolina was the biggest opportunity of my life, and I was determined to make the most of it. We put up lights around our room and put presents for each other under our little tree. It’s the most wonderful time of the year, and one of my favorite parts of the holiday season is decorating for Christmas. I love all the lights and putting presents under the tree. And don’t worry, the beautiful decorations don’t have to be just for your house. Last year, my roommate and I had a blast decorating our room for the holiday season. Pick up some decorations while you are home for Thanksgiving break and enjoy turning your room into a winter wonderland. I would recommend lots of lights. You can put them around your windows, on your beds, and around your doors. They create a fun ambiance when you turn them on and turn the main light off. It’s fun to watch movies and drink hot chocolate while surrounded by warming glowing lights. You’ve lived in a traditional residence hall, but now it’s time for a change. So you should move off campus, right? Not necessarily. Read on to find out the top ten reasons you should live in an on-campus apartment. The buildings in Odum Village, which contain four one or two-person apartments each, give the community a neighborhood vibe. Less anxiety about money. If you’re like me, you’ve heard horror stories from your friends living off campus about how they divide expenses up among their roommates. The great thing about living in an on-campus apartment is that charges are billed in the same way that residence hall charges are. When you’re not constantly worried about conflicts with others over money, you have more time to focus on what really matters! Carolina’s residence halls can feel as homey on the inside as they look on the outside. Each August, bright-eyed college first-years flock to department stores, lured by neat shelves of room furnishings. Coordinating bedspreads, furniture and dishes seem to symbolize a fresh start and new beginnings. But as I head into my junior year, I’m yearning for a more home-grown room than what department stores can give. A cozy sofa instead of a futon. Walls plastered with memories. Unique belongings truly mine. A home, not just a 10×13 space. In pursuit of this dream, I hopped from antique shop to thrift store to closet this summer. A little time, a little effort and a lot of creativity have given me a motley assemblage of treasures that will transform my room into a home. Best of all, restoring used items and buying what’s built to last is truly a sustainable lifestyle. Want to craft a home-grown room of your own? Start with three key areas: wall hangings, dishes and furniture. Bring it! Leave it. Do I really need it? Multi-bulb floor lamps aka "octopus lamps" are not allowed in residence halls. So if you’ve been to Orientation, you should have received your “Get Ready to Live at Carolina!” Move-In Guide for 2012-2013. (You can also download it from housing.unc.edu). On pages 5 and 6, there is information about your room and a list of suggested items to bring. I’m going to give you my opinion on this list. Please note, the items under the “Leave it.” category are not allowed for safety reasons. If you do not understand what an octopus floor lamp is, you can find more information in this post (and no it is not the first thing that pops up in the Google images search). If you think an item might be dangerous or forbidden, err on the cautious side and don’t bring it.